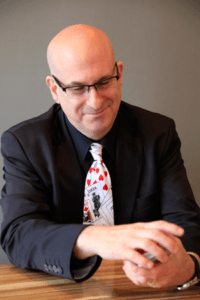 Jonathan Blair is well known for seamlessly blending magic, wit and sleight of hand. He has a gift for engaging audiences of all ages. Since 1994, Jonathan has been performing his unique style of magic and comedy in front of audiences throughout the New York, New Jersey and Connecticut region. Jonathan resides in Bergen County, NJ.